Zhongkai High-tech Zone headquarters building is the phase-one project of the Zhongkai High-tech Zone headquarters economic zone. The building construction area is 24000 square meters, with 51000 square meters of the floor area and 105.9 meters height. This is the new landmark of Zhongkai high-tech zone. 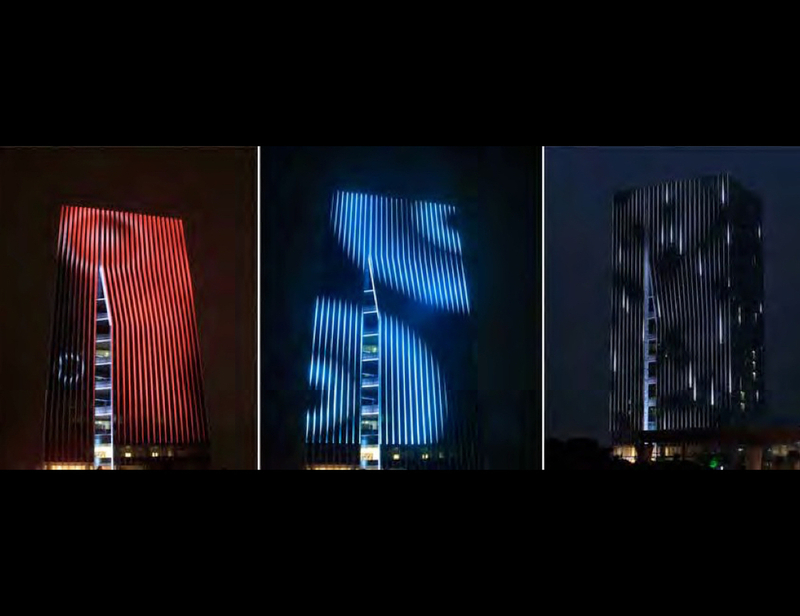 LEDARTIST brings a new creative and environmentally all LED lighting design. 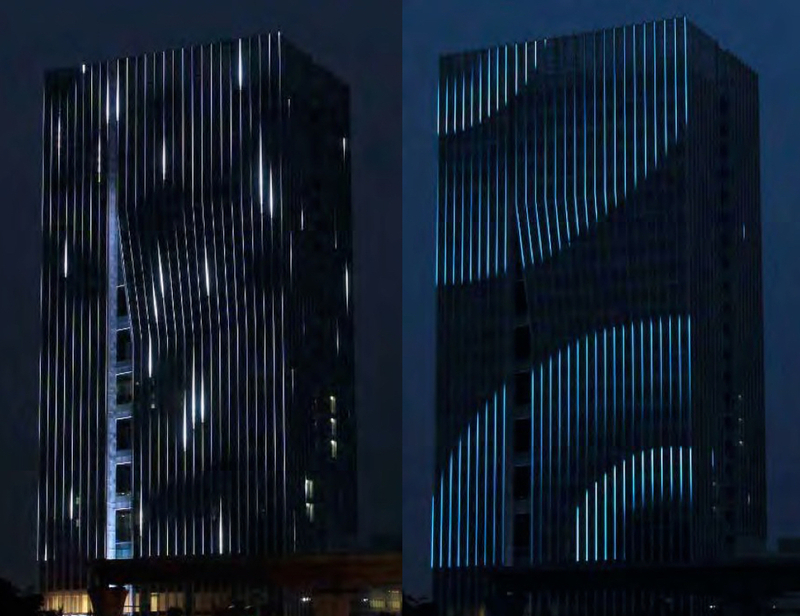 The lighting schemes has the”water” as the theme, one of the highlights is the combine the LED lamp and vertical unique perforated aluminum boards, lamps hidden installation in order to maintain the integrity of original curtain wall.